So far 117 fishermen have been arrested in the last three months. 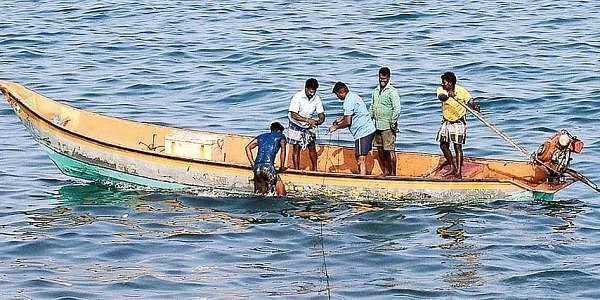 RAMESWARAM: Eight Tamil Nadu fishermen were arrested early today by the Sri Lankan Navy for allegedly fishing in Palk Strait off Katchatheevu. The fishermen from this island town and Mandapam were arrested by the Lankan Naval personnel while they were fishing near Katchatheevu and taken to Kaarainagar in the island nation, Assistant Director of Fisheries, Mandapam, Gopinath said. Two boats were also seized, the official said adding fishing nets of 50 boats that had ventured from here were snapped by the island nation's authorities. Ten fishermen from Thideer Kuppam village in Nagapattinam district were on November 17 arrested by the Lankan Navy when they were allegedly fishing near Neduntheevu in the island nation waters.